We are Rover people. Need help?. Let's chat. Rims and Wheels. Exterior Accessories. Engine Parts. Cooling System. Cooling and Heating. We have a New Glove Box Hydraulic Arm Damper Part# LR039802 Fits: Freelander. We are Rover people. Need help?. Let's chat. Rims and Wheels. Exterior Accessories. Engine Parts. Cooling System. Land Rover Freelander Glove Box Latch. As you already know a brokenFreelander glove box door latch is a common problem. FREE within The United States. 2003 Land Rover Freelander Black passenger side glovebox latch. Works great! Free Shipping! Thanks for looking! We have a New Glove Box Release Latch Handle Part# LR007072 Fits: Freelander. Glove box or under steering wheel latch. Pulled from a 2002 2003 Freelander. Your looking at a OEM Glove box latch from a2002 LAND ROVER FREELANDER. Normal wear and tear. Up for grabs is a glove box latch from a 2004 Land Rover Freelander. It is correct for 2002-2005 models. The color is black. It is in nice shape. No cracks, no repairs, and it works perfectly. It has light scratches from use. PART Part # FNC000010PMA. Freelander 02 - 05. Glove Box Latch. No exception! THEY DO NOT PROVIDE DOOR TO DOOR SERVICE. This part was removed from a 2002 Land Rover Freelander S. When we label a part being the Left Part. Doors, fenders, hoods and any other body panel or automotive parts may contain scratches or small dings. Land Rover Freelander Glove Box Latch. Genuine Land Rover Part. Universal Car Front Seat Pocket Catcher Storage Organizer Catch Box Leather ABS. Materials: ABS PU Leather. Item Type: Seat Gap Storage Box. 1 X Car Seat Gap Storage Box. Muti colors for your choice;. PART FWG000010PMA. 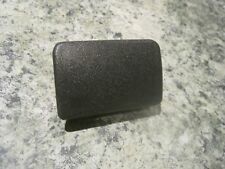 LAND ROVER GLOVEBOX MAT RUBBER. FOR FREELANDER. LR2 ,LR4 or Range Rover. Any use of Range Rover. LRBRITISHPARTS is an independent provider of parts for land rover vehicles. LRBRITISHPARTS has no affiliation, real or implied, with land rover USA. 2003 Land Rover Freelander S. Does not include the door. Vin number: SALNM22283A238786. When we label a part being the Left Part. Doors, fenders, hoods and any other body panel or automotive parts may contain scratches or small dings. Glove box latch removed from a 2003 Freelander. Model: ROVER FREELANDER. Interchange: ROVER FREELANDER 02-05. Part Grade Abbreviations. cc = Credit Card size units. C = Greater than 200k miles. B = Greater than 60k miles and less than or equal to 200k miles but greater than 15k miles per year. (1) As this armrest is the General one ,that must need use the Screw to let the armrest fit in the original car's middle place. Material: PU leather. 100% genuine products! We will try our best to reduce the risk of the custom duties. Universal 2x PU Leather Catch Catcher Box Caddy Car Seat Slit Pocket Storage Organizer Beige. Car seat storage box for convenient finding, gap filling and leakproof. Designed to fill the gap between car seat and console. Include : One Car Seat Gap Organizer. Car pouch, effective use of the car seat side gap space accommodating various types of commonly small objects, such as: parking card, cell phone, data cable, CD, keys, coins coins, bills and so on. New Design Car Seat Crevice Storage Box Leather Auto Seat Gap Pocket Organizer Contect Boxes For Phone Card Cigarettes Storage. Project -- -- -- -- -- -- -- -- -- -- -- -- New Design Car Seat Crevice Storage Box Leather Auto Seat Gap Pocket Organizer Contect Boxes For Phone Card Cigarettes Storage. (New Car Seat Seam Storage Box Slit Pocket Phone Holder Organizer. Fit for any vehicle which seat seam size is 300 x 20mm, such as 1) Plugs directly into seat crevice. 4) Creates extra storage within easy reach. Part# LR039802. We have a New Glove Box Hydraulic Arm Damper. Fits: Freelander. 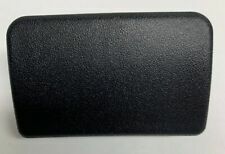 We have a New Glove Box Release Latch Handle Part# LR007072 Fits: Freelander. We are Rover people. Need help?. Let's chat. Rims and Wheels. Exterior Accessories. Engine Parts. Cooling System.